In honor of the launch of the new BlackBerry Classic, I decided to put together a BlackBerry Classic video trailer. Enjoy! 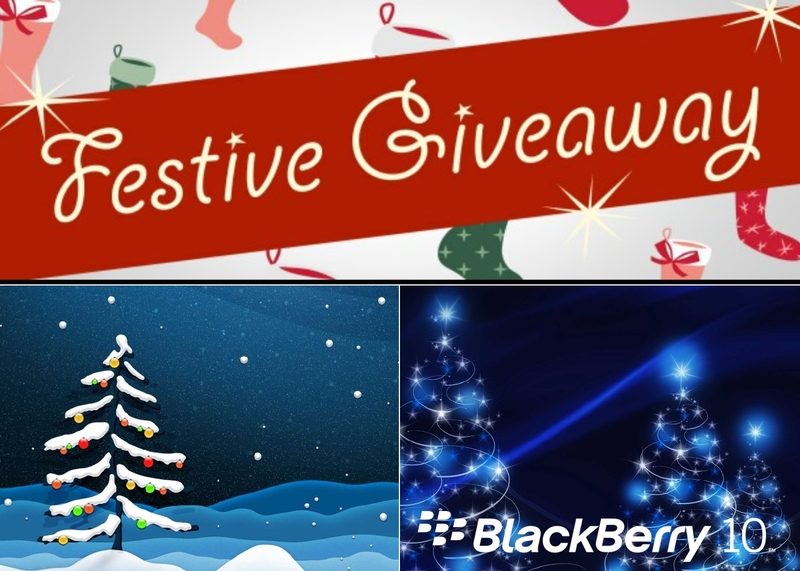 Watch the Live Stream Replay here live.blackberry.events Enjoy the event! Check out the BlackBerry Classic promo video below. On April 30, 2013 then BlackBerry CEO Thorsten Heins had some serious questions about the future of tablets. “In five years I don’t think there’ll be a reason to have a tablet anymore,” he said in an interview with Bloomberg. That statement alone rubbed a lot of people the wrong way, especially those supporters of the Blackberry Playbook and other tablet devices. I mention that statement because as the years have gone by, smart phones have continued to get smarter and bigger in size. Some of today’s largest smart phones/phablet’s have even reached the 6″ mark in size which is much to be said about the current direction of smart phones. With the current selection of 5-6″ smart phones on the market and the emergence of faster and more powerful processors, a majority of smart phones now pack the punch to directly compete and actually out perform most tablets on the market today. I have a total of 3 tablets ( iPad Mini, Nexus 7 & the Playbook ) in which I haven’t had a use for any of them in more than 3-4 months. 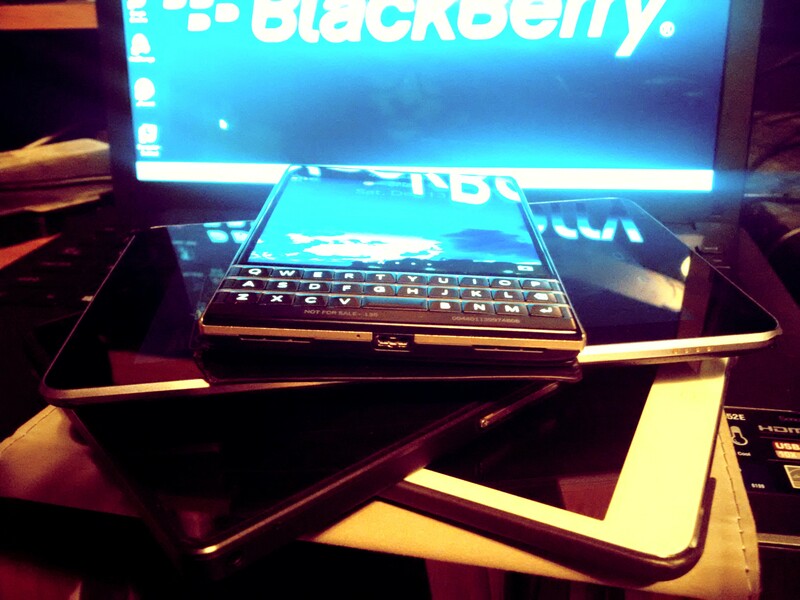 With the recent addition of the BlackBerry Passport to my smart phone family, I have all but abandoned my tablets as there is no real need or want to actually use any of them other than to keep them charged in case I have to demo product software. My son uses his Nexus 7 for nothing more than a gaming system and uses his Playbook occasionally as multimedia device. As a 13 yr old, his use case scenarios for tablets is very much different from what I would use a tablet for. I find myself way more productive on my BlackBerry Passport than I can ever be on my iPad Mini or Nexus 7. I may be in the minority here, but there is NO way I can see myself investing in another tablet in the near future. Id rather spend the extra money and get me a decent laptop in which I have no limitations as far as productivity and or invest in a new smart phone of my choice. The tablets of today all seem the same, nothing different bringing the same amount of options as the rest; Movies, Games, Facebook, Twitter etc…I can do all that and more on my BlackBerry Passport while truly remaining mobile. If mobile computing is really the future are tablets included? Leave your comments below and let us know what you think. Pre order your BlackBerry Classic today and join in on #INeedMyBB at BlackBerry.com/INeedMyBB. 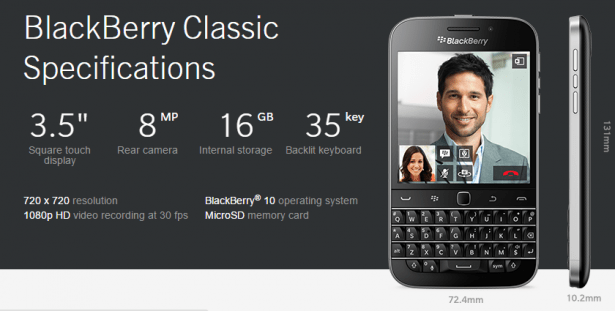 [Read more…] about BlackBerry Classic, Is It For You?